Sunny Leone’s latest car is also the costliest one in her garage, and also the most powerful. Say hello to her Maserati Ghibli Nerissimo, a four seat grand tourer. The luxury car is priced at 1.36 crore rupees, in Mumbai, but she’s bought one in the United States. US prices of the Ghibli start from US $72,000 or Rs. 47 lakhs, going all the way up to US $ 53 lakhs. The car can get even more expensive as Maserati offers extensive customization options. While the Indian version is diesel powered, the US version gets a twin turbo petrol V6 engine. Notably, this car is quite special, for it is a limited edition model. Maserati will sell only 450 units of the Nerissimo in the US and Canadian markets. This is Ms. Leone’s second Maserati. Her husband gifted her a Quattroporte a few years ago. 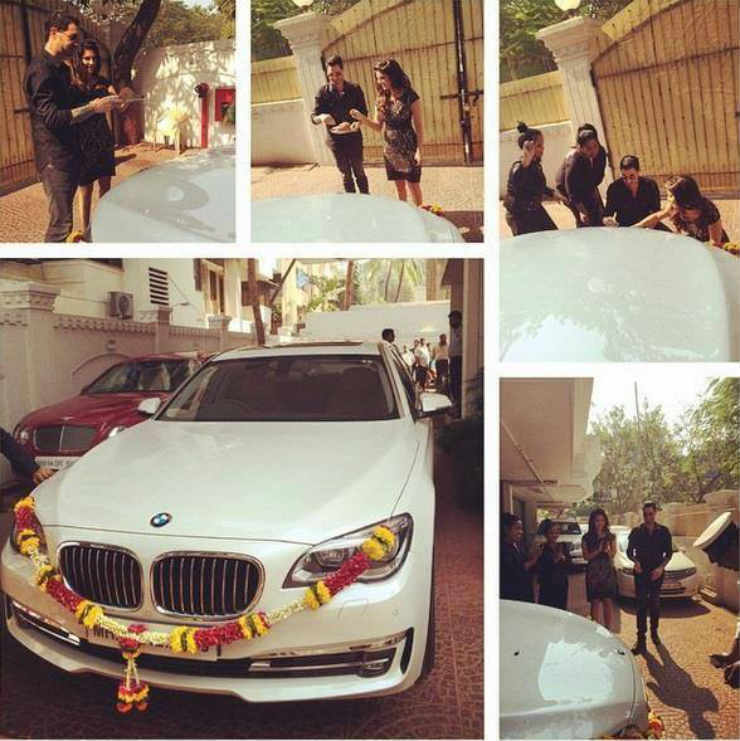 Sunny’s other car in India is a BMW 7-Series. The Ghibli Nerissimo features an all-black exterior trim, with 20 inch alloy wheels. Other sporty bits on the car include a sport steering wheel, paddle shifters, 12-way power front seats clad in leather, a blind-spot monitor, front and rear parking sensors, a remote starting system and an all-black interior. The car is available with a 3 liter, twin turbo V6 engine in two states of tune – 345 Bhp and 404 Bhp. The gearbox is an eight speed automatic unit from ZF. 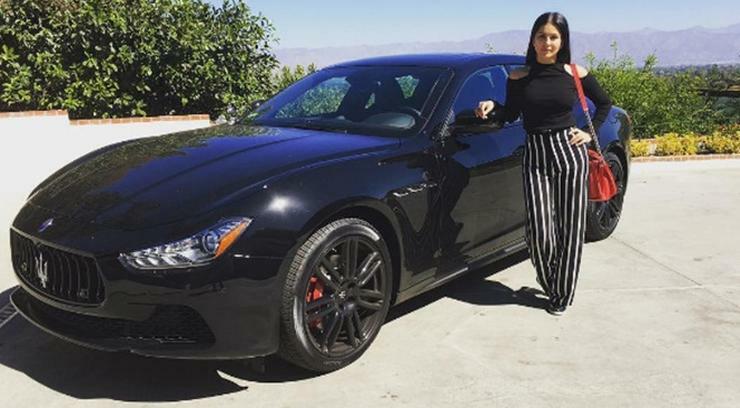 Sunny Leone’s other Maserati – a Quattroporte – which she got in 2014. This car is in India. The higher state of tune also gets an all-wheel drive option while the lower state of tune is rear wheel driven. It’s not clear if Ms. Leone’s Ghibli Nerissimo is in the higher state of tune, but knowing her penchant for fast cars, it might as well be that she’s chosen the faster model. The 345 Bhp version can hit 100 Kph in 5.6 seconds, with a top speed of 265 Kph. The 404 Bhp version goes faster, with the 100 Kph mark being achieved in 4.8 seconds, and top speed rated at 282 Kph.